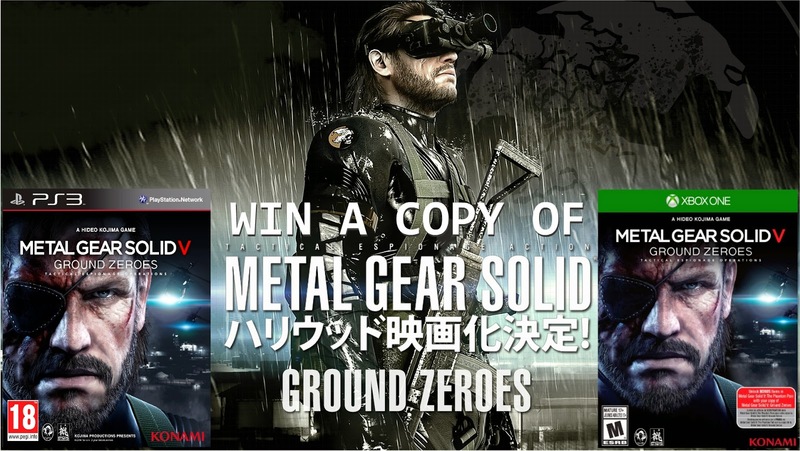 If you've been on We Know Gamers lately you'll have seen our MGS V: Ground Zeroes coverage and our review of the game itself, and to celebrate the games release we've got a couple of copies to giveaway thanks to the wonderful folks over at Konami UK! The rules are simple, we have 2 copies of the game, one for PS3 and another for Xbox One. To enter, just head on over to our facebook page and give it a like, then leave a comment on this post here stating which system you'd like it for, it's really that easy! Competition closes at the end of May 2014 so you've got just under 2 weeks to get your submissions in. The winners will be chosen by the 1st of June, if the winner fails to respond by the 3rd, a runner up will be selected. Competition open to UK entrants only. After you've done that, go check out some of our other recent Metal Gear Solid related articles with these handy links.